Midtown Community School may be renamed for Congressional Medal of Honor recipient and Bayonne native, William Shemin. Midtown Community School, on 24th Street and Avenue A, may soon be renamed for a Bayonne Medal of Honor recipient, William Shemin. The Bayonne Board of Education is voting on the resolution at a Jan. 30 meeting. Shemin was honorably discharged from the army in 1919 after fighting in the Aisne-Marne Offensive in France in World War I. A semipro baseball player and forester in Bayonne before his military career, Shemin later went on to forestry school and opened a greenhouse and landscaping business in the Bronx, where he raised three children. Shemin, who died in 1973, was posthumously awarded the Congressional Medal of Honor in 2015 for taking command of a platoon after all its senior officers were killed over a two-day span in August of 1918. Shemin’s command ended with a bullet lodged behind his left ear. He would finish out his tour of duty in occupied Germany and Belgium. Shemin is one of 27 Jewish-American Medal of Honor recipients. Bayonne has two other Medal of Honor recipients, both with sites named for them. Bayonne Park was renamed for Stephen R. Gregg in 2001, and the district’s newest school was named for Nicholas Oresko in 2013. Midtown is the district’s second newest school, built in 1992. The idea came about at the behest of Juan Perez, Bayonne Councilman-At-Large, who sent a letter to the board pitching the idea late in 2018. 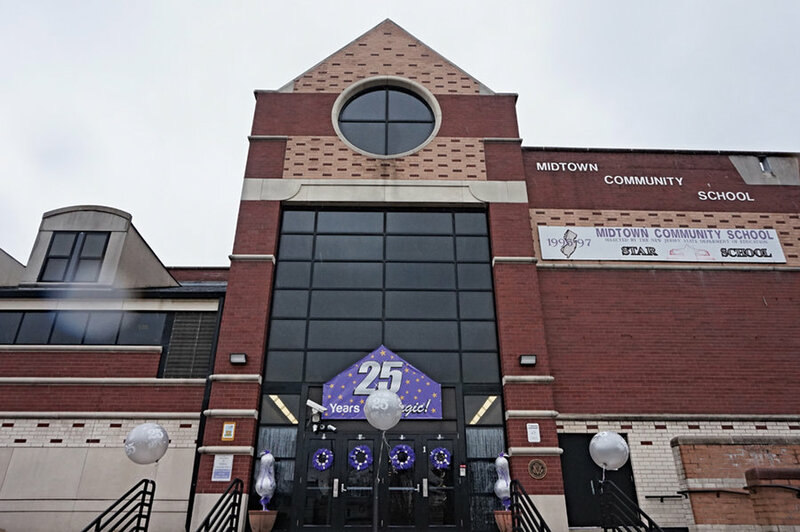 Midtown Community School was the last school in Bayonne not named for a person.